Part nail art blog, part online magazine, SoNailicious ® is your ultimate online destination for fabulous nails daily. Founded by Australian nail artist Maria Vlezko in November 2012, the site is a perfect mix of inspirational editorials and practical advice for creative people who like daring manicures. It’s loaded with nail art tutorials, swatches, nail art ideas, nail care and makeup tips. 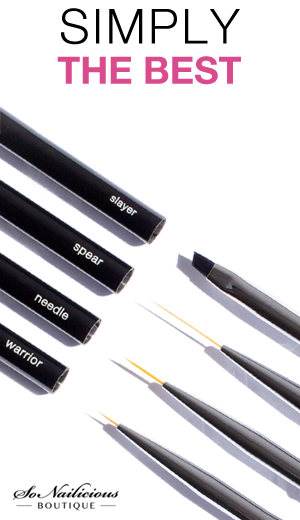 Our signature features include The Nail File, Expert Advice and Nail Art Gallery. SoNailicious is more than just another beauty website. Our community is everything to us! We love learning from you, our readers, as much as we love sharing our knowledge. This site provides a social hub where new talent can get to know each other and connect with leading beauty experts and the best nail art bloggers. Plus, our weekly newsletter offers the scoop on the latest articles, nail news and exciting opportunities such as giveaways and reader features. So join in, we hope you enjoy it as much as we do! Born and raised in Europe, Maria has had a diverse career from finance to fashion. As a hobby, she started a personal style blog, CrashingRed which quickly became one of the most popular Australian fashion blogs. She suddenly found herself in the front row of fashion parades and featured in online and print publications and so took up blogging full time. On one rainy evening, Maria was creating another nail design for CrashingRed‘s nail art series, it turned out so well she dubbed it “so nailicious!”. 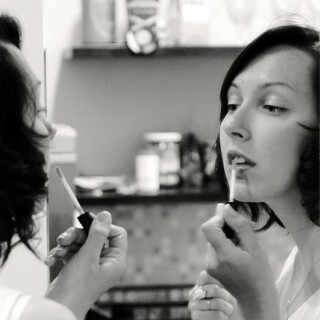 A few months later in November 2012, she launched SoNailicious.com. The new site has become an excellent outlet for her passion for art and beauty. Now, with over 100,000 people visiting SoNailicious ® every month, the site ranks as one of the top nail art blogs not just in Australia, but worldwide. Maria has been featured in high profile magazines such as Marie Claire, InStyle and Professional Beauty, and worked with partners like Schwarzkopf, Mint Polish, Revitanail, Sea Siren and Ulta3. When it comes to nails, Maria’s philosophy is that a great manicure its the best fashion accessory, not to mention a fantastic conversation starter. Maria’s goal is to elevate and transform nail art culture to a level of edginess and sophistication never seen before. 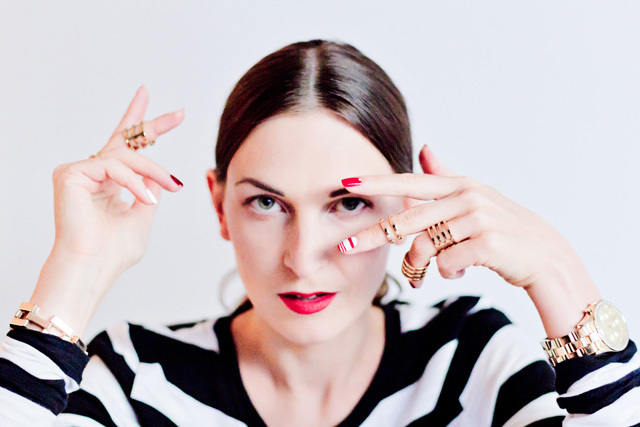 Her signature nail art style – sharp, always uncompromisingly flawless minimalist patterns. You may already have seen her nail art designs on Pinterest. Well, now you know the artist! In conjunction with running SoNailicious, Maria can be found running nail art masterclasses all around Australia, traveling the world scouting for new jewellery for the SoNailicious Boutique or developing her new range of nail art brushes. See all posts by Maria here. When it comes to nail art, nothing is more appealing than designs that are beautiful yet practical enough to wear in real life. That’s what Nailscope is about. With an Art degree and a wealth of knowledge, she’s been a nail stylist for over 10 years. Elina has her own strong nail art style and puts together such fascinating and irresistible nail art tutorials, you’ll want to pin (and try!) them all. See all posts by Elina here. Emily loves writing and inspiring women to be self-empowered and confident through beauty. Emily is currently studying English and Journalism at Kansas State University and loves to try and discover new, amazing beauty products. She’s very keen to share all the hottest beauty trends, nail tips and tricks with you. We’re so honoured to have Emily and can guarantee you’ll find her thorough reviews and features very useful and inspiring. See all posts by Emily here. At just 24, Anja is one of the most followed freehand nail artists on Instagram. Her nail art journey started around 3 years ago when she first tried doing ombre nails. Now her intricate, completely hand drawn designs are recognised all over the world. As a SoNailicious contributor, Anja shares her nail art tips and creates beautiful nail art tutorials. We’re absolutely honoured to have her and can guarantee you won’t find anything like this anywhere else. See all posts by Anja here. 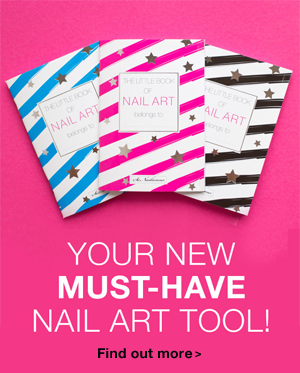 You now have the best of the best from nail art industry available at the click of a button! Information about the SoNailicious nail art masterclasses – here. Advertising on SoNailicious.com – here. Product Review & Disclosure Policies – here.